What are we building - We are building a marketplace for matching consumers with a compatible financial advisors. Our psychometric matching algorithms maximize chances of feeling a personal connection with the advisor, eliminating need for multiple interviews. Our marketplace based business model delivers ~90% discount on financial advice to consumers relative to industry pricing. The problem - Finding a financial advisor is a cumbersome process today. Consumers rely on a referral from someone they trust or perform research and interview multiple local advisors or go to a brokerage firm and get an assigned advisor. Further, pricing in financial advisory industry is broken as advisors charge consumers excessive fees based on a percentage of portfolio managed. Finally, services offered by a financial advisor are usually limited to popular offerings such as portfolio management and estate planning; there is no specialized advice on offer for life situations. Our Solution - Consumers pay $10/month subscription to get access to platform. Financial health score that organizes relevant aspects of financial life including portfolio investments, savings plans (401K, 529), legacy plans, liabilities. Tools for portfolio analysis and rebalancing when required. 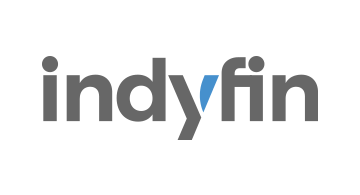 Independent financial advisors vetted by Indyfin offer financial advice on the platform. Consumers that need advice on specific topics or need services select the service they need and get suggestions on advisors that are best matches. Advisors have a dedicated page with their specialization, customer satisfaction, rates, calendar availability, and regulatory records listed.